Buy best on line Sanotint and Migliorin extreme mild natural daily shampoos - Vivasan Webshop English - World wide delivery Vivasan Official Webshop® is specialized in shipments to the UK, Ireland and Scandinavian countries. Best prices! Sanotint and Migliorin shampoos cleanses your hair with natural plant extracts. Two unique mild hair care lines for an amazing clean, soft and glossy result. 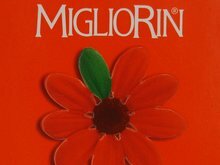 Sanotint and migliorin shampoos contain rich natural plant components, tested on dermatological tolerance. Sanotint and Migliorin shampoos are free from preservatives and artificial colorants and have a natural pH balance (рН 5.0-6.0). The shampoos have no side effects and are recommended to adults and children. They do not violate the skin and hair hyrdolipid and are suitable for daily application. Vitasan Origin Argan SLS-free Super-Glow shampoo soothes the scalp, penetrates deeply and moisturizes the hair. It nourishes the hair and provides long-lasting care with a fresh look and suppleness.